Venice shrouded in golden fire, and I flaming in its embers. At least, that’s what it feels like to me in the thirty plus degree weather. Stepping of the bus, Venice doesn’t look like much from the clogged station. But walk between the green-painted stalls and across the bridge, and suddenly your enveloped in Venetian charm. One day, these maze-like streets will be home to schools of fish, flooded building submerged forests to an unforgiving sea. But not today. Today the city is a burnt sienna against the cloudless sky. 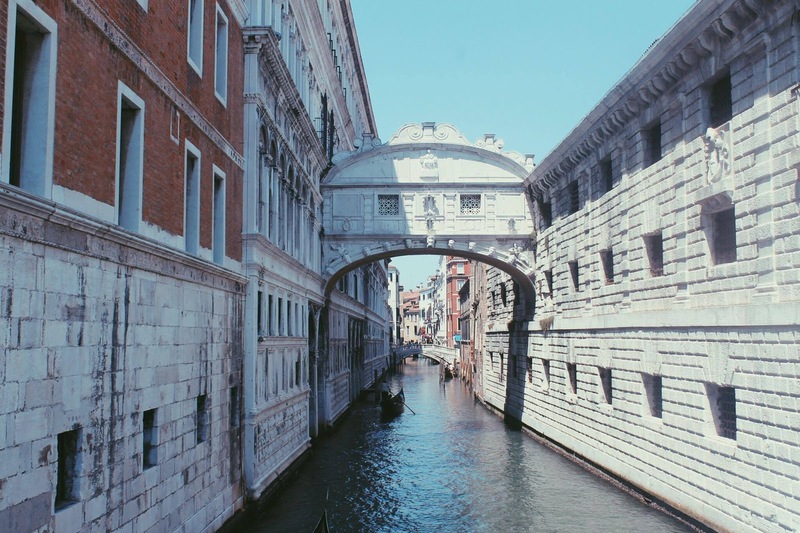 We walk for hours upon hours; from one end of Venice to the other. Too hot to marvel at this home, at that bridge, yet marvel we do. It cannot be helped. 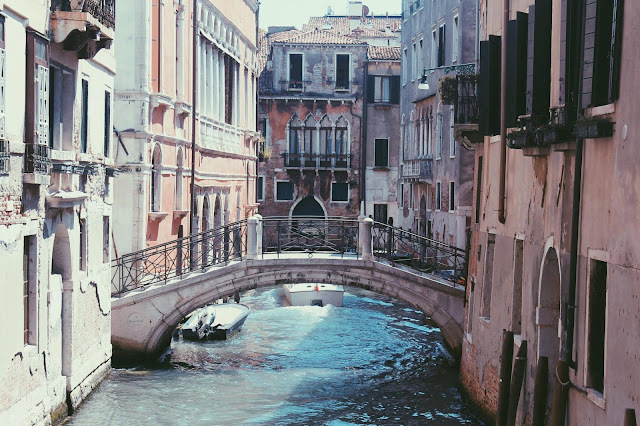 From the charming bookstore on Campiello Del Tintor, to the elusive Piazza San Marco – which, try as we might, takes us two days to locate – Venice is this city where everything takes us by surprise; the heat, the wine, the sights. Certainly, I wasn’t a wine person until I tasted the homemade strawberry wine of Café la Ramblas. Sat against a backdrop of canal and bridge, I enjoyed a steaming plate of spaghetti served by the most joyful waiter I have ever, and probably will ever, meet. 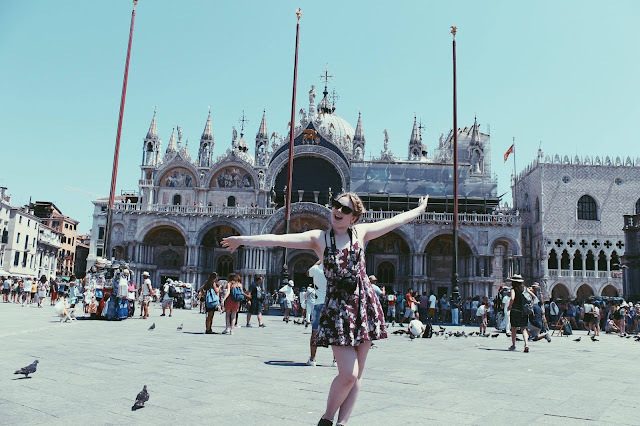 I even received the two cheek kiss, which felt like an embrace from the whole of Venice. Sweet, fair and lower humidity Verona was chosen as a daytrip destination. Being only a two-hour train journey from Venice, it was by no means the longest trek in our travels. And besides, I wanted to visit Juliet’s Wall again. Hopes, dreams, heartbreaks and heartaches are literally splattered in various shades of felt tip like blood on a crime scene wall there. Press your hand against the sun-warmed stone, and you can almost feel the weight of scrawled expectations. I wonder about the lives of those brave enough to declare their love through Sharpie. Are F + C really 4eva? What about Shaun and Elise? Are those who cried over lost loves happy now? Mostly I wonder about those asking for love. Has Juliet answered their pleas? I visited Verona back in 2011 with a request for Juliet to bring me love. I have returned five years on, again with no name to tag onto mine. Perhaps Casa di Giulietta is just a wall graffitied with human noise. 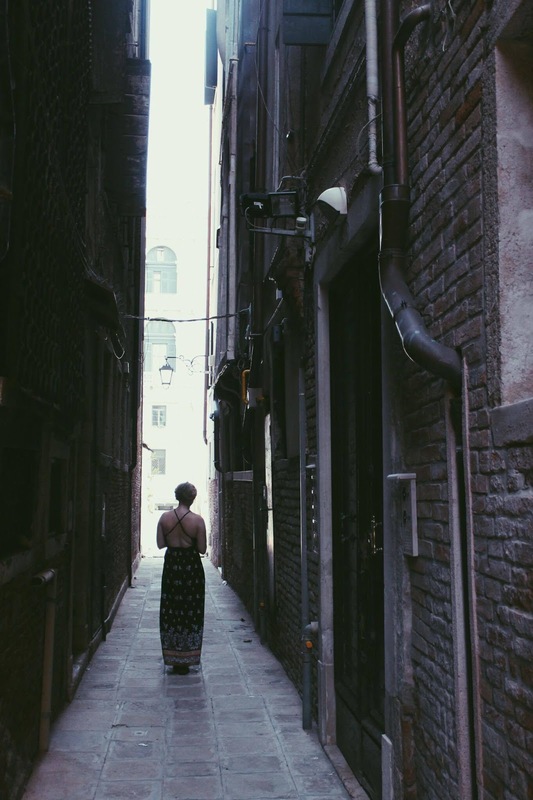 The desire for love, for a happy ending, is strewn across Verona’s cobblestones like confetti. It blows in the breeze and lingers on your skin. Whether a true love magnet or tourist trap, Juliet’s Wall is a truly beautiful paean to humanity. The depths of our emotions is, after all, what keeps us human. The Magnum Pleasure Store is a fun and tasty way to cool down in the Venice heat. Design and make your own Magnum ice cream for €4.50. Save yourself money by taking an empty water bottle with you. 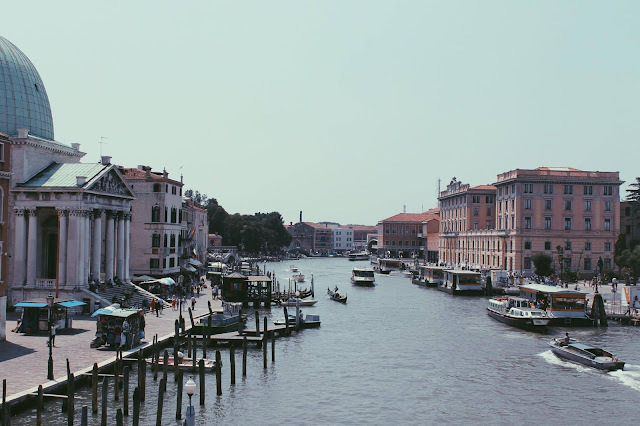 Venice has thousands of free water pumps that are clean, cold and refreshing. If, like me, you aren’t good in the heat, avoid Venice in July and August. The city is hotter than the fiery pits of hell.